RALEIGH, Walter. The Last Fight of the Revenge. 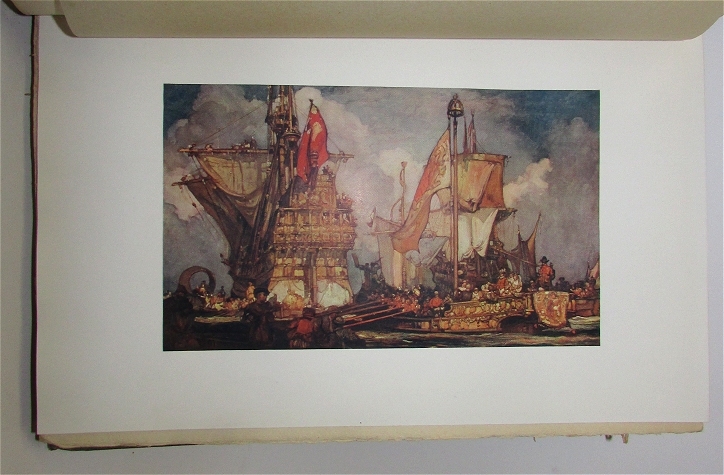 With An Introduction by Henry Newbolt, and Illustrations by Frank Brangwyn. London: Sampson Low, Marston & Co., (1920). First of this edition. Small 4to., original grey cloth with title decoration in gilt and purple within a rectangular box on the upper board, (130)pp. 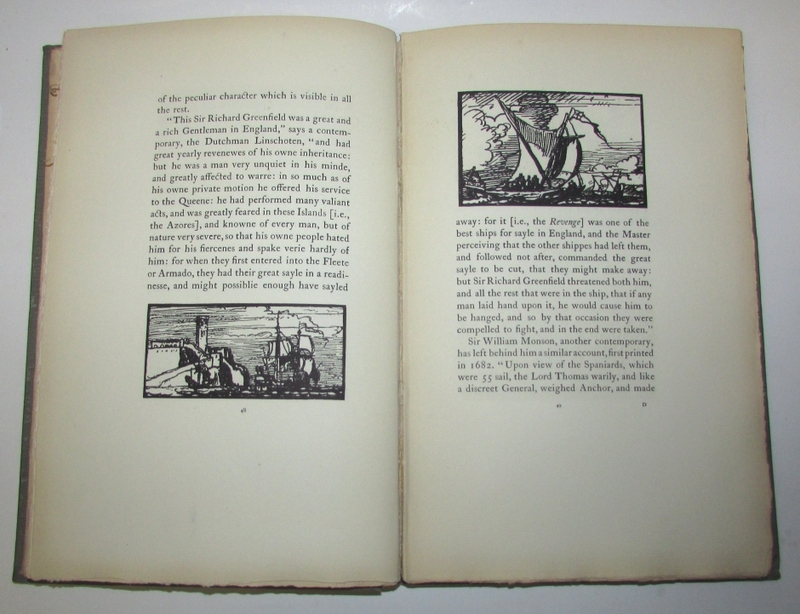 With illustrations. 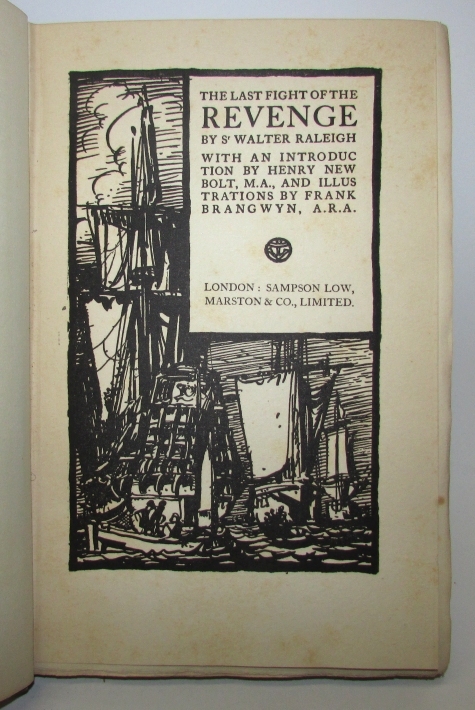 A fine copy.